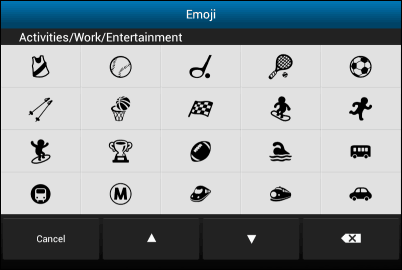 An Emoji keyboard is available in Android 4.2, although it’s somewhat hidden. It allows you to express yourself using various symbols and it’s easy to enable, too. Here’s how to do it. 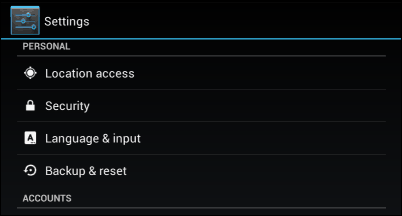 First, go to your Android smartphone or tablet’s Settings menu and tap Language & input, under Personal. Here I’m using a Nexus 7, but this should work with most devices that have Stock Android. Samsung devices might differ. 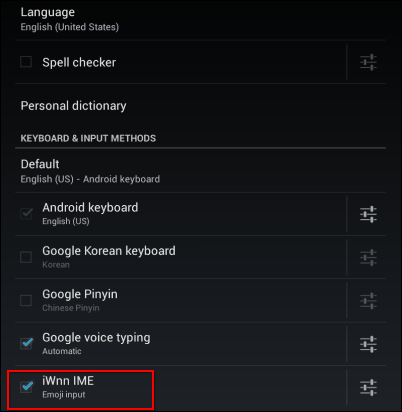 Find the iWnn IME input and make sure it’s enabled. Now whenever you’re using the normal Android keyboard and you want to use an icon, long press the space bar. Then tap Emoji Input method. You’ll get a keyboard filled with a ton of fun emoticons like Android robot faces. Symbols for sports, activities, nature, and a lot more. Have fun! Emoji (絵文字, or えもじ? ); Japanese pronunciation: [emodʑi] is the Japanese term for the ideograms or smileys used in Japanese electronic messages and webpages. Originally meaning pictograph, the word literally means “picture” (e) + “letter” (moji). The characters are used much like emoticons elsewhere, but a wider range is provided, and the icons are standardized and built into the handsets. Some emoji are very specific to Japanese culture, such as a bowing (apologizing) businessman, a face wearing a face mask, a white flower used to denote “brilliant homework” or a group of emoji representing popular foods: ramen noodles, dango, onigiri, Japanese curry, and sushi. The three main Japanese operators, NTT DoCoMo, au, and SoftBank Mobile (formerly Vodafone), have each defined their own variants of emoji. Although originally only available in Japan, some character sets have been incorporated into Unicode, allowing them to be used elsewhere as well. As a result, some phones such as the Windows Phone 7 line and the iPhone allow access to the symbols without requiring a Japanese operator.